So I've decided to create this blog to share my passion for crochet and amigurumi. I'll show you my works and what I'm doing at the moment, and I will also share with you some interesting and cute patterns that I find around the web as well as review the (few) books that I have. 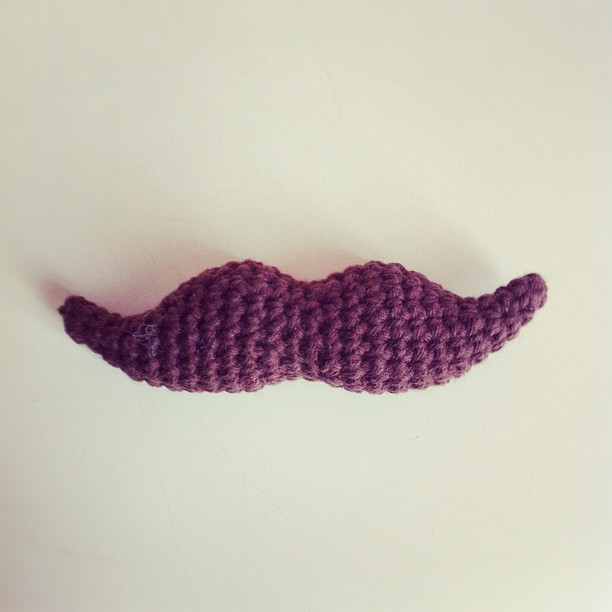 For a start, I'll show you this crocheted moustache that I love and made following this pattern. Me he decidido a abrir este blog para compartir mi pasión por el ganchillo y el amigurumi. Iré enseñando mis "creaciones" y lo que esté haciendo en el momento, también compartiré con vosotros algunos patrones interesantes y chulos que voy encontrando por la web, y de vez en cuando haré algún review de los (pocos) libros que tengo sobre el tema. Para empezar, os dejo con este mostacho de ganchillos que me encanta e hice siguiendo este patrón.